Photo: Corpo Nazionale Vigili Del Fuoco. 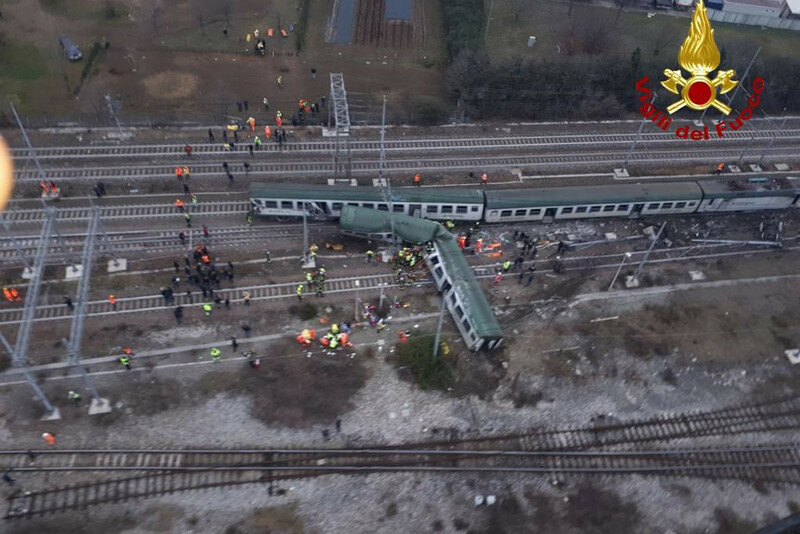 Italy’s state police force Polizia di Stato has released CCTV footage captured moments before a commuter train crashed near Milan on January 25, killing three people and leaving more than 100 injured. The video shows the train travelling through Pioltello-Limito station on its way to Porta Garibaldi, with sparks flying as at least one carriage scrapes a platform edge. A full investigation is underway to establish the exact cause of the incident.